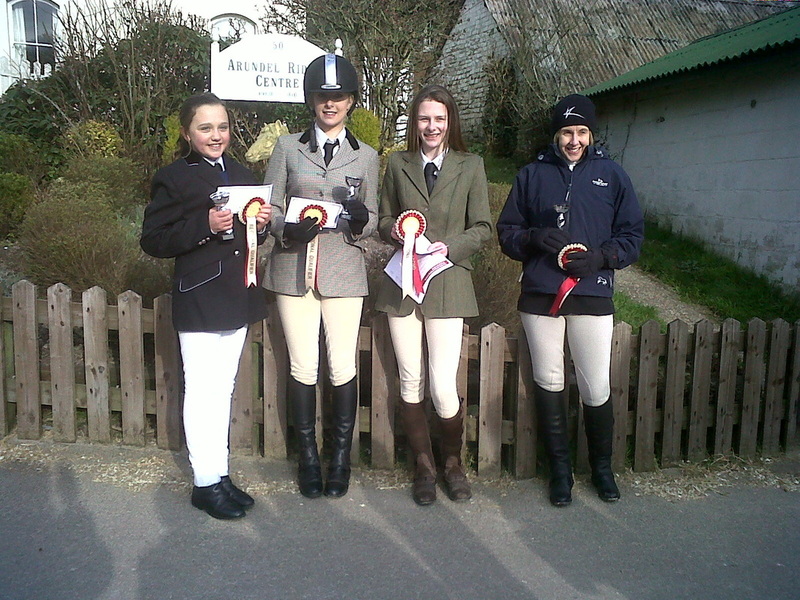 Twenty riders and ten Arundel Riding Centre ponies took up the opportunity to complete the demanding Dressage, Theory and Show Jumping elements of the 2013 BHS Equitation Competition. 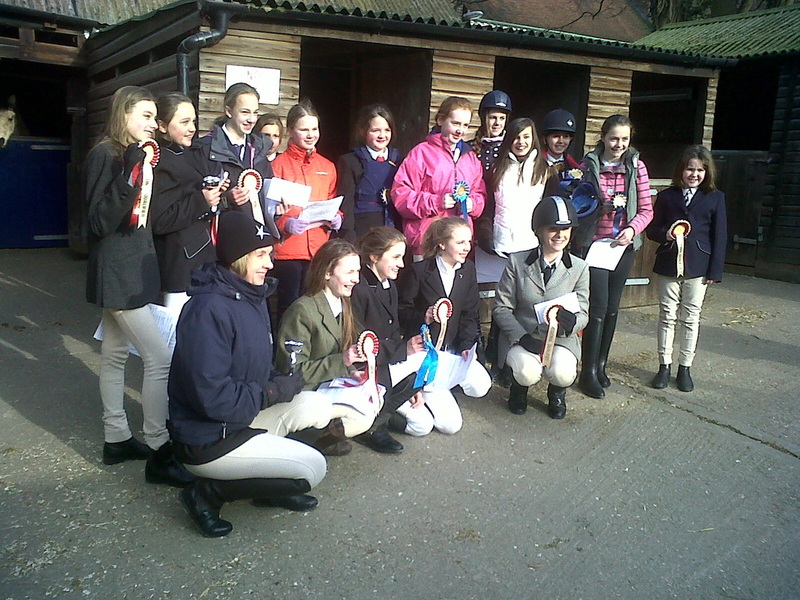 This was held on 22nd February 2013 at Arundel Riding Centre. Gen riding Badger won the 18 and over group. Competition was fierce in the 17 & under Group. Megan riding Flyer was first (see photo) , with Emily on Bobby coming a very close second. The 13 and under Group was won by Lauren riding Charlie. Special congratulations to Georgia and Lucy who both achieved 100% in the Theory section. 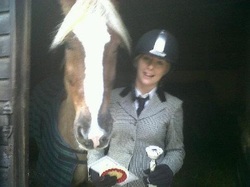 Well done to Sophie riding Harvey - our youngest competitor achieving a very well earned 4th position.